Sharing images on social media is something a lot of us do every day. Many of us do it just for fun. Some do it to try to grow their business. But others do it for pure profit, something the majority of people don’t realize is possible. There’s actually a number of different ways to make money sharing images on social media, both directly and indirectly. If you’ve been trying unsuccessfully to make money on social media, you may learn some tricks that will increase your chances of success in the pages of this guide. In this guide, you’re going to learn about some of the various ways you can make money online sharing your content on social media. You’ll learn about some of the different moneymaking methods, as well as ways to increase your follower count and improve your engagement rates. If you’ve been wondering how the big players of social media make their mega-millions, read this guide from cover to cover and start taking action. You’ll be raking in money before you know it! There are a lot of ways to profit from social media. The best way for you to profit is to choose the methods that best fit your specific social media persona. Keep in mind that different methods will work better for different types of profiles. You may have to experiment with a few different methods to see what works best for you. The biggest thing to remember is that your followers are your most important concern. Never put money over your followers. It may seem counterintuitive if you’re building a brand specifically to make money, but if you promote products that could upset your followers in some way, you’ll risk lowering your engagement and you’ll hurt your profit potential—potentially disastrously. Let’s take a look at some of the ways you can make money sharing content on social media. One of the easiest ways to make money with your social media presence is through the marketing of affiliate products. You can earn a great commission from various products that fit with your branding, but be sure you’re only promoting the best quality products. If you promote an inferior product, you risk alienating your followers and harming future promotions. There are affiliate products available for almost any type of branding you can imagine. You can promote information products through Clickbank or JV Zoo, or you can promote membership sites, or physical products through sites like Amazon. Amazon is especially good, because they have millions of products you can promote, so it’s almost certain you’ll be able to find something your followers will respond to. If you grow your social media to a large enough following and you keep a good rate of engagement, you’ll be able to have brands pay you to post on their behalf. Social media influencers are often paid thousands of dollars to make a single post. For example, someone who has a large following of video gamers might be paid to post about a hot new mobile game. Or a beauty blogger might be paid to post about a new skin care product. If you’re interested in offering sponsored posts, you might want to hire an agency to represent you. (Note, they’ll want to see quite a large number of followers and a good rate of engagement before they’ll consider you.) But if you’re ready to take your social media to the next level, an agency can help you. Having your own products to promote can be the most profitable way to make money, because you get all the revenue, not just a portion of it. You might think it’s too expensive to create your own products, but the truth is you can make your own stuff pretty cheaply using solutions like CafePress, Zazzle, or TeeSpring. These sites will let you make products like t-shirts, sweatshirts, and even posters, coffee mugs, phone cases, and more that are perfectly suited for your followers! You can also sell information products through sites like ClickBank and JVZoo. Image sharing sites make it easy to make money with your social media accounts by paying you for every view of your content. Most sites pay between $5 and $9 per 1000 views. You won’t get wealthy using this method, but it’s a great way to bring in some extra income. One thing to be aware of is that these sites often have a lot of popups and other annoying ads that may upset your followers, so research them carefully before using one. Did you know you can actually get people to pay you a monthly payment to continue sharing your content? Keep in mind that you’ll need to post really outstanding content that is truly unique in order to get people to want to contribute to you on a regular basis. You could have your own membership site, but the easiest way to set up a recurring sponsorship is through Patreon. Patreon is for people like artists, photographers, musicians, writers, etc. You can allow people to support your art (whatever it may be) with monthly contributions. The most important element of this process is growing your following on social media to the highest number you can manage while making sure those followers are “real” followers and carefully cultivating a specific image. Having a million followers isn’t going to do you much good if those people don’t engage with your posts—liking, sharing, and, most importantly, taking action. As you grow your following, you want to make sure you’re doing so organically rather than simply paying for followers. Sure, paid followers can, on occasion, be productive. For example, Facebook ads can be a great way to get real followers who are interested in what you have to offer. But generally it’s not advisable to pay for followers, because they are often just bot accounts set up strictly for the purpose of following other accounts for money. You’ll also want to ensure you’re branding yourself to some specific type of niche to make sure you get followers who are interested in something specific. Not sure what I mean by “branding” yourself? 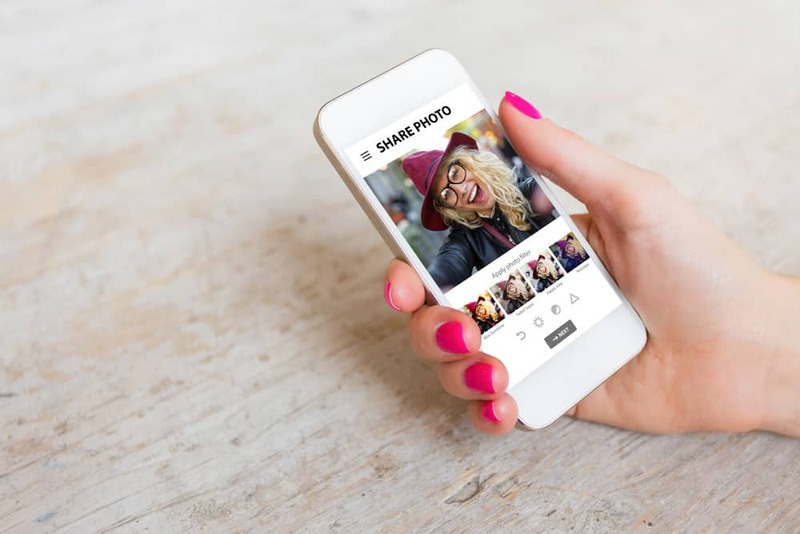 Let’s take a look at some popular people in social media to see what we can learn from the way they’ve structured their profiles—their personal branding. Love her or hate her, Kim Kardashian has become one of the shining examples of what is possible through social media. She typically posts selfies, along with information about fashion and cosmetics, and pictures of her famous family. She has well over 100 million followers between her major social accounts, and she’s reportedly paid as much as $200,000 for a single tweet! She’s done a great job branding herself in the fashion and cosmetics industries, and she has a very strong engagement from her followers. The other Kardashian sisters also have very strong social media presences, and they also command extremely high fees for mentions on their social media accounts. George Takei made a name for himself as Hikaru Sulu on Star Trek in the 1960s, and has since become a gay icon. He posts regularly on Facebook (where he has nearly 10 million followers) and other social media about such topics as marriage equality, his time in an internment camp during WWII, and he posts a variety of witty memes that keep his followers highly engaged. He’s shown that posting funny memes can actually build you enough of a following to get important messages out there and have them actually get attention, too! If you’re into video gaming, and maybe even if you’re not, you’ve probably heard of PewDiePie (pronounced pew-dee-pie). He’s made a massive following for himself on YouTube by posting videos of himself playing various games and including witty and snarky commentary. He has nearly 40 million subscribers to his channel, over 9 billion total views of his content, and was reported to have made over $12 million in 2015! Tess Holiday is a plus-size model who became the first to land a big-time modeling contract with a major agency. She posts on Facebook, Instagram, and other social media outlets about such subjects as plus-size fashion, and maintaining a positive body image at any size. This has gained her a large and loyal following of over a million on Instagram alone. Taylor has such a huge engagement that she managed to get Apple to reverse their decision not to pay artists for plays of their songs during a trial of Apple Music. That’s pretty huge considering how difficult it is to get any corporation to actually listen! Kim Garst specializes in social media, posting information about how people can be more effective on various platforms. She’s grown an impressive following, and is listed on Forbes’ list of top 10 social media influencers. She’s on pretty much every social media platform you can think of, and has a huge number of followers and lots of engagement. She runs a social marketing agency called Boom! Social, and she actually lives what she teaches. These are just a few examples of how various people have branded themselves on social media. You can learn from their examples in order to create your own personal brand. One of the worst things you can do is try to be “all things to all people”. You’ll end up with a very low engagement, which is a more important metric than total follower count when it comes to getting sponsored posts. Decide what you’d like to brand yourself as and stick mostly with that theme. If you’re a marketer, don’t post a lot of non-marketing content. If you’re into fitness, stick mostly to fitness-related content. If you post great content on a regular basis that fits with your brand, you’ll grow a large base of followers with great engagement. Engagement is the most important metric there is when it comes to social media—even more so than the total number of followers you have. This is especially true if you want brands to pay you to post on their behalf, but engagement is crucial no matter what. For example, on Facebook, engagement is critical because if your fans don’t interact with your posts for a period of time, Facebook will stop showing them your content. But when an individual likes, shares, or comments on one of your posts, Facebook will show that person your content more often for a while. This is why it’s important to post only your best content. There’s no purpose in posting content that isn’t going to get a lot of likes, shares, or comments, because you’ll only decrease your engagement and hurt your brand in the long run. One of the most important things you can do to increase engagement is simply sticking to your niche for most of your posts. It may be tempting to post other stuff on your profile to bring in more money, and it might work in the short term, but it will only decrease engagement from the people who are not interested in anything but your original branding. Let’s say you’ve branded yourself as a golf expert. You might think posting pictures of expensive cars and watches would increase engagement, and there’s always the possibility that it might, but why take that risk? If you make just a few posts that get low engagement, fewer people will see your content and thus you will make less money. When you stick to the content you know your followers are interested in, you’ll increase your overall engagement rate and you’ll get better results faster, and you’ll see more people offering your sponsorships. Another way to increase engagement is by asking for it! It never hurts to ask your followers to like, share, and comment on your content. Sometimes a little reminder is all it takes. Contests are another great way to increase engagement. Holding contests where people must like, share, and/or comment on the post to enter can significantly increase your engagement and boost your entire profile. Even a simple contest like a $20 Amazon gift card can significantly boost engagement. You could even get a sponsor to donate the prize so you don’t have to spend any money. For example, many food bloggers have given away kitchen equipment like blenders and stand mixers that were donated by the manufacturers. If you enjoy posting on social media, it can be a great way to make money. It’s one of the easiest ways to bring in money online, and it’s also fun for a lot of people, too. This method requires little to no financial investment. Generally, all it takes is time. It does take a while to build a large following on social media, but once you’ve done that, it’s really very easy to make money with this method. Whether you decide to make money on a per-view basis, promote affiliate products, make your own products, or get paid by brands to promote their products, you WILL make money if you follow the steps in this guide. In fact, if you’ve been struggling to make money in other ways, you may find this is the one method that really works for you. Don’t forget that it’s not all about numbers. Having millions of followers won’t matter if they aren’t paying attention to your content. But if you work hard to post great content and keep your followers engaged, you will find it very easy to make money. I wish you the best of luck, and I hope you get out there and make a ton of money!